"The Giro is something new to me and I'm going there with the intention of at least getting my first podium in a Grand Tour. I think, with the way I rode in the last Tour, I do not have to be afraid of anyone." Alberto Contador’s decision to join Trek-Segafredo will necessarily have an impact on the team in 2017, most notably on Bauke Mollema’s schedule which has been focused on the Tour de France in recent years. With the arrival of the Spaniard, the Dutchman will have to refocus on another Grand Tour and has opted for the Giro. 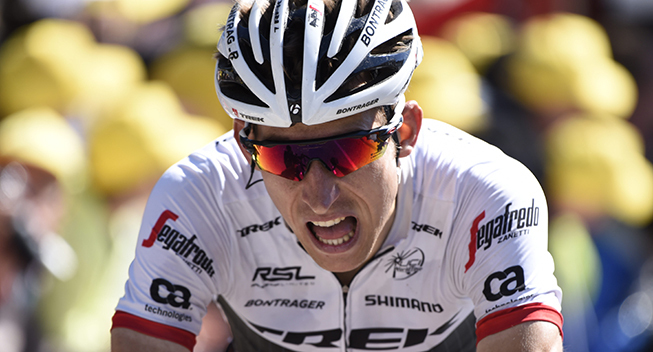 However, Mollema was starting to make his mark at the Grande Boucle, and there were just a few days too many in 2016 for the Trek rider who was on the provisional podium for a long time. In 2017, he will be the leader at the Giro, an event where he has little experience as he has only done the race in 2010 with a beautiful twelfth place. After Tirreno-Adriatico, the Italian race will be his first big objective of the season and he has great ambitions. "The Giro is something new to me and I'm going there with the intention of at least getting my first podium in a Grand Tour. I think, with the way I rode in the last Tour, I do not have to be afraid of anyone. If you're fighting for the podium, you can also fight for victory and that's the plan." After the Giro, Mollema will be a luxury teammate for Alberto Contador in an attempt to bring the Spaniard to the top step of the Tour.